Is 'illegal alien' a legal term in federal law? By W. Gardner Selby on Wednesday, May 9th, 2018 at 11:12 a.m.
Steve McCraw, director of the Texas Department of Public Safety, makes a claim about the term "illegal aliens" at an April 18, 2018, Texas House committee hearing (screen grab, Texas House video). An exchange between a legislator and the leader of Texas’ state law enforcement agency made us wonder whether federal law uses "illegal alien" to describe any individual living in the U.S. without legal authorization. It doesn’t, we learned, though the term makes a few appearances. Many news organizations avoid the "IA" term. In 2013, the Associated Press dropped "illegal immigrant" from its stylebook. AP spokesman Paul Colford said then that "illegal" should be used to describe actions, not people, and the AP counseled journalists against using "illegal alien" except in direct quotations. We recognize, though, that "illegal alien" persists. 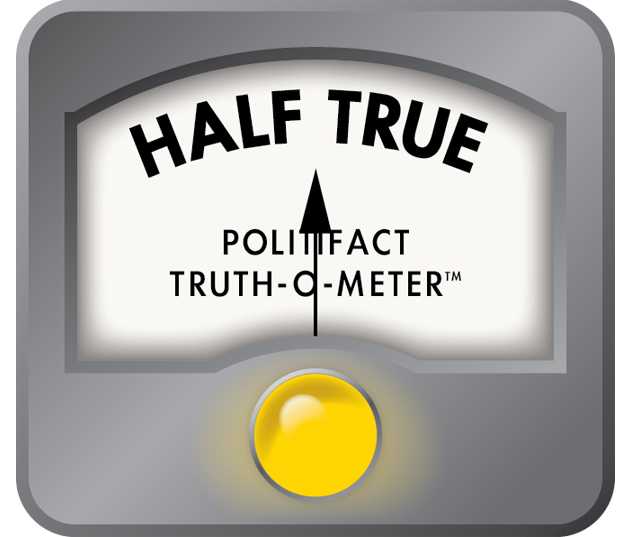 The term showed up 80 times in our May 2018 Google search of the PolitiFact website with "illegal aliens" popping up 5,620 times. Let’s unpack what touched off this fact-check, then turn to "illegal alien" in American law. At an April 18, 2018, Texas House hearing, state Rep. Mary González, D-San Elizario, elicited agreement from Steve McCraw, director of the Texas Department of Public Safety, that the words that "we choose to use" are powerful. González then told McCraw she "had concerns about the language that you use and the agency is using in talking about undocumented immigrants. If we’re talking about children, for example, unaccompanied minors, then using words like ‘illegal aliens,’ I have had a concern about that, right?" she said. "And so but then, in your testimony you used it again. And so I’m guessing, my question is, is the agency standard in typically referring to undocumented immigrants as IAs?" McCraw answered: "I always use ‘illegal aliens’ and I have when I was assigned to the Department of Justice, when I worked at the FBI, when I was assigned as the director of the foreign terrorism task force because it’s a term, it’s a legal term, it’s in statute, it’s a federal term--and it’s not intended to degrade anybody in any way, shape or form." McCraw spent 21 years with the FBI before becoming director of Texas DPS, the state law-enforcement agency known for its state troopers and Texas Rangers. González replied that people "in my community" would find it "very concerning to use this language." McCraw answered that he’d consult DPS staff and "re-evaluate the use of words that their director has been using to describe, I’ve been consistent about that. And it it’s insulting, if it truly is insulting, I don’t intend to insult anybody." We later asked the DPS to elaborate on McCraw’s claim that "illegal aliens" appears in statute. We didn’t hear back. Given McCraw's singling out of federal statutes, we launched our post-testimony look by searching the portion of federal law titled "Aliens and Nationality," and saw that the chapter titled "Immigration and Nationality" defines the word "alien" alone as "any person not a citizen or national of the United States." But in the same "Definitions" section, we spotted "illegal" just once--and not in the context suggested by the DPS director’s testimony. "Illegal" appears in a section stating that an "alien" lawfully given permanent residency shall not be regarded as seeking U.S. entry in connection with the country’s immigration laws unless the "alien" has, among possibilities, "engaged in illegal activity after having departed" the United States. Another portion of the law says the U.S. attorney general "shall have the power and duty to control and guard the boundaries and borders of the United States against the illegal entry of aliens." Our scrolling of the act also picked up a mention of "illegal entrants". We separately heard back from Arwen FitzGerald of U.S. Citizenship and Immigration Services. By email, FitzGerald pointed to four uses of "illegal alien," two in federal law and the others in a congressional act. Section 1252(c) of the "Aliens and Nationality" laws is titled: "Authorizing State and local law enforcement officials to arrest and detain certain illegal aliens." The section authorizes state and local law enforcement officials "to arrest and detain an individual who— (1) is an alien illegally present in the United States; and (2) has previously been convicted of a felony in the United States and deported or left the United States after such conviction." Section 1365, titled "Reimbursement of States for costs of incarcerating illegal aliens and certain Cuban nationals," applies to any alien convicted of a felony who’s in the country unlawfully and whose most recent entry "was without inspection, or whose most recent admission to the United States was as a nonimmigrant and whose period of authorized stay as a nonimmigrant expired, or whose unlawful status was known to the government." FitzGerald also pointed out that a section of the Illegal Immigration Reform and Immigrant Responsibility Act of 1996 authorized the hiring of 25 new federal lawyers to "prosecute persons who bring into the United States or harbor illegal aliens or violate other criminal statutes involving illegal aliens." Also noted: A section of the act requiring an annual report detailing "the number of illegal aliens" sentenced or jailed for felonies in state and federal prisons. That act, we saw, relies on the established definition of "alien" spotted earlier. It doesn’t explicitly define "illegal alien," though by our count, the term appears nine times including in a section titled "Demonstration project for identification of illegal aliens in incarceration facility of Anaheim, California" and a section titled "Pilot programs on limiting issuance of driver’s licenses to illegal aliens." By email, though, academic experts on immigration law told us such scattered mentions of "illegal alien" in legislation and law don’t mean much. Denise Gilman, who directs the University of Texas immigration law clinic, pointed out that all but one of the term’s mentions in the 1996 act appear in section titles, not intended statutory language. "The title is a political marker in the legislation but is not the law itself," Gilman wrote. "For example, the section titled ‘PILOT PROGRAMS ON LIMITING ISSUANCE OF DRIVER'S LICENSES TO ILLEGAL ALIENS,’ goes on to use legal terms in the actual text," Gilman wrote, which refers only to "aliens who are not lawfully present" in the United States. Notably, Rick Su of the University of Buffalo School of Law told us, the "IA" term doesn’t appear in the vast Immigration and Nationality Act, the nation’s main immigration law. Su acknowledged that the term appears in the 1996 act’s section about the federal government reimbursing states for incarcerating certain immigrants. But that section, Su said, defines an "illegal alien" solely in the context of the section -- as "any alien convicted of a felony who is in the United States unlawfully and -- (1) whose most recent entry into the United States was without inspection, or (2) whose most recent admission to the United States was as a nonimmigrant and -- (A) whose period of authorized stay as a nonimmigrant expired, or (B) whose unlawful status was known to the Government, before the date of the commission of the crime for which the alien is convicted." In contrast, Su told us, "illegal alien" has been commonly used to refer to immigrants simply present in the U.S. without a valid visa or legal status, or whose legal status expired or is terminated. More prevalent terms in federal law, Su said, include "inadmissible aliens" or "unauthorized aliens." Su wrote that "inadmissible aliens" and "deportable aliens" are different individuals under the INA, and have specific criteria, he said, with "inadmissible aliens" probably "closest to how the term ‘illegal aliens’ is commonly used (federal law treats those who enter without inspection to be construed as not having been ‘admitted’)," Su wrote. All this said, Su said, other government documents--including memos, directives and reports--use "illegal alien." The Supreme Court also has used the term, Su said. He singled out the court’s rulings in De Canas v. Bica, a case decided in 1976 about California governing the hiring of "illegal aliens." Su also noted Arizona v. U.S. in which the court in 2012 upheld parts of Arizona’s 2010 immigration law. That opinion employs "illegal alien" twice in quoting others and twice in speculation about how Arizona might enforce its law. To our inquiry about McCraw’s claim, Jeff Baker of the Pepperdine School of Law summed up: "The term ‘alien’ is common in the United States Code and in U.S. law, although the term ‘illegal alien’ is very rare in the statutes. In the Code, ‘alien’ typically means someone who is not a citizen, and, despite the current political uses and preferences (including my own), this is fairly common. I do not know when ‘alien’ entered the law with this usage," Baker wrote, but he noted that President John Adams "signed the very controversial Alien and Sedition Acts in 1798." Baker went on: "That was not the ‘Illegal Alien and Sedition Acts,’ however." Personally, Baker told us, he favors "other language in our national discourse. ‘Alien’ may be a technical term of art, but ‘illegal alien’ is almost always pejorative in contemporary usage." Finally, we searched Texas laws and the state constitution on the Texas Legislature’s website and didn’t find "illegal alien" or "illegal aliens" though we saw multiple provisions specifying how laws apply to aliens. McCraw told legislators the term "illegal alien" is "a legal term, it’s in statute, it’s a federal term." The term appears--yet scarcely--in federal law. Best we can tell, though, no law defines the term as referring to all individuals living in the U.S. without legal authorization. Where the term does appear, it’s undefined or part of an introductory title or limited to apply to certain individuals convicted of felonies. On balance, we rate McCraw’s claim Half True. Published: Wednesday, May 9th, 2018 at 11:12 a.m.